Foodist Healthy Box Exceeds Expectations! We would like to thank you for this FANTASTIC start of our campaign! We have not only reached more than 600,000 euros and over 600 Companists already, but we are also wondering what pleases us the most: Those Foodists who invested for the second or third time or our many new Companists. In any case, we are absolutely delighted! We are also happy about the launch of another subscription box in addition to our Foodist Gourmet Box on 1 June: the Foodist Healthy Box. 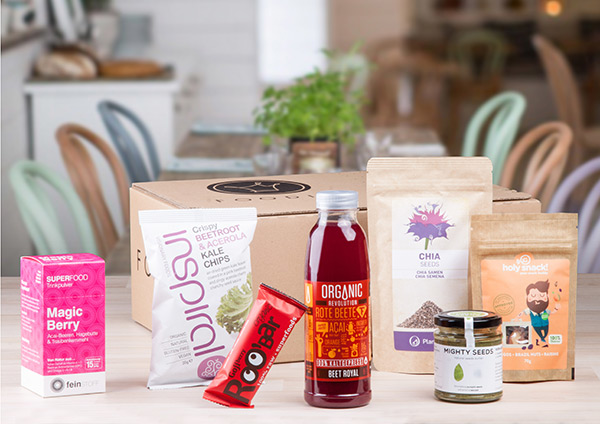 Each month, this box will provide our customers with a surprising selection of healthy and trendy products for a healthy diet and a healthy lifestyle, no matter whether these products are superfoods, paleo food, smoothies, low-carb products, gluten-free products, or vegan products. The Healthy Box is 100 % vegetarian and provides customers with essential vitamins, minerals, and other important nutrients necessary for vitality and energy. The above customer structure proves our hypothesis that there is another attractive target group in addition to gourmets/foodies that is highly interested in high-quality groceries: the healthy/athletic target group. This target group has been growing rapidly over the last few years. In order to achieve most efficient use of our office and warehouse capacities, the new box will be shipped on the first day of each month. Consequently, the box will first be delivered on 1 July. Just like the normal Foodist Box, the Healthy Box has no minimum duration and may be canceled via email or telephone on a monthly basis. Next month, we will start target marketing activities for the new box, for instance a partnership with food supplement manufacturer Nu3 and sample boxes for famous bloggers, YouTubers, and Instagramers. Until the end of this year, we plan to attract 2,000 monthly Foodist Healthy Box subscribers.